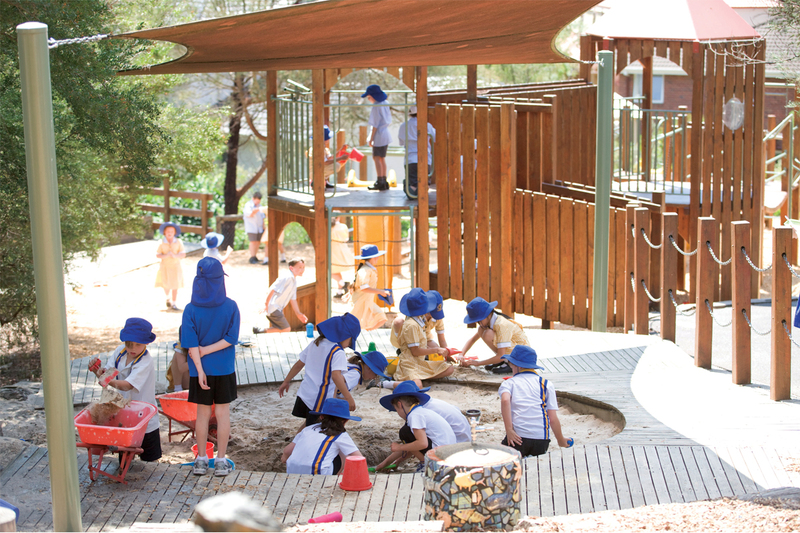 Carey Donvale caters for students from Kindergarten to Year 6, after which all students transfer to the Kew campus. The first thing people notice when they arrive at our Donvale campus is the extraordinarily beautiful surroundings. The campus buildings blend seamlessly with the surrounding natural, native bushland and the adjoining Mullum Creek. Donvale is an area with a distinctively Australian character. Municipal and domestic landscaping incorporates native plants that are home to a magnificent array of bird and animal life; we even have the occasional koala visiting the Donvale campus, much to the delight of our students and staff. This peaceful setting is enhanced by community artwork created by the students, staff and parents from the campus. Dedicated parking spaces for vehicles displaying Disabled Persons Parking Permits are located in the main car park. There are wheelchair accessible toilets at each of our campuses. If you think you may require assistance during your visit to Carey, please do not hesitate to contact us to discuss your individual requirements.